So ya know what the Hokey Pokey dance is right? If not click here for a quick review. Ok, now that we’re on the same page, did ya ever wonder why the Hokey Pokey song is ALWAYS played at wedding receptions – usually right after that stupid Bird Dance…da-da-dada-dada-DA, da-da-dada-dada-DA,da, da, da, DA! CLAP, CLAP, CLAP, CLAP!) Yeah, you got it. 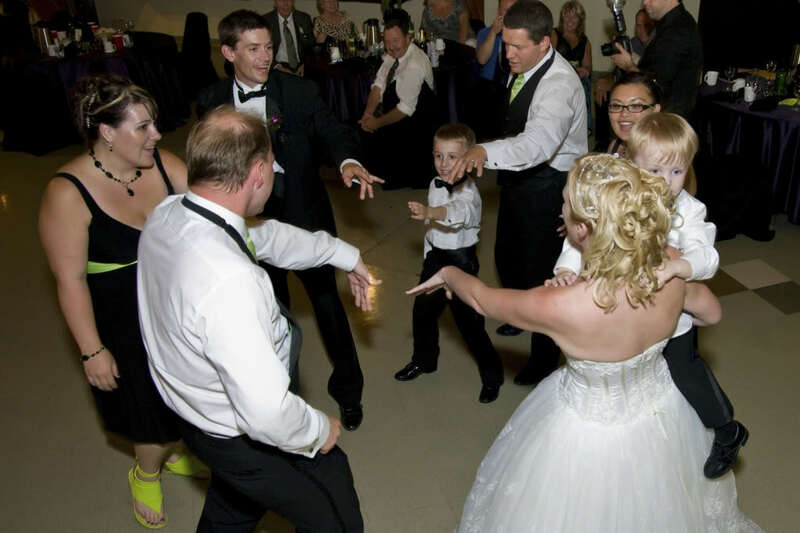 Well, as it turns out the Hokey Pokey is traditionally played at wedding receptions cuz, in the old days, the Hokey Pokey was actually an ancient ritual dance that a virgin bride would perform for her groom before they would “SOAP WORD” for the very first time. Yeppir, this whole, “Right hand in, right hand out. Backside in, Backside out” stuff was supposed to AROUSE the groom! Whoaaaa…Seriously, this is more dysfunctional than the Octo-mom family will be in about 10 years. First, I didn’t grow up in a tent or a big open room full of cubicles. We DID have doors on our rooms. Second, I didn’t have X-Box or an iPod but I gotta tell ya, I didn’t wonder through my house bored like some psych patient. Pretty much I played with simple things like Slinkies, G.I. Joe’s (with Life-Like Hair) and Lincoln Logs. If I REALLY got bored, I would see how far I could stick one of the Lincoln Logs up my nose! This was always TWICE as entertaining when my little brother would stick the same logs in his mouth the next day. Third, my sister would not have had the courage to have a real boy in her room. Our parents had some kind of uncanny CIA-level brain control that kept deviant thoughts like that from EVER entering our minds for fear of being KILLED! But she DID have a ton of Donny Osmond, David Cassidy and Bobby Sherman posters. I don’t think my sister used those posters the way my friend Frank used his Farrah Fawcett poster. I never realized, until MANY years later, why Frank always had that thing laying on the floor next to his bed and why one of its upper corners was so wrinkled. Finally, I don’t know about YOUR grandfather but, when my grandfather was in a bathroom, you didn’t go near it for hours after he had been in there. Ya knew what he was going to do in the bathroom as he alternated farting and moaning on each step all the way up the stairs to the bathroom. And on the RARE occasion that my grandfather was only going to that bathroom take a leak, you woulda thunk he had actually done the Hokey Pokey while he was peeing – cuz of all the pee trickles all over the floor, wall and toilet. How about THAT for an ending thought? If this is your first time here, read ABOUT ME for a Little Johnny intro.